Kevin Beggs is Chairman of the Lionsgate Television Group, overseeing development and production of all scripted and non-scripted programming. 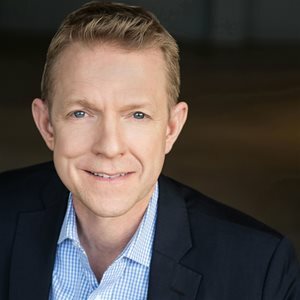 A 19- year veteran of the company and a member of its corporate senior management team, he has spearheaded the strategic expansion of Lionsgate’s television production operations into one of the largest independent television businesses in the world. He is also one of the key executives managing Lionsgate’s 50/50 partnership with CBS in Pop, sitting on its Board of Directors. Casual (Hulu); the syndication success The Wendy Williams Show; the popular drama series The Royals (E! ); the breakout success Greenleaf (OWN); and the critically-acclaimed Dear White People (Netflix). He has also been responsible for Lionsgate’s iconic multiple Emmy Award winner Mad Men, eight seasons of Showtime’s hit comedy Weeds, seven seasons of Showtime’s acclaimed Nurse Jackie and six seasons of USA’s Dead Zone. which debuts early next year, Get Christie Love! (ABC) and American Lion (HBO). Mr. Beggs is the recipient of Operation Smile’s John Connor Humanitarian Award, The Help Group’s Teddy Bear Humanitarian Award, and the Broadcasting & Cable 2014 Innovation Award. Last month he was inducted into the Broadcasting & Cable Hall of Fame. Mr. Beggs has served on the Board and Executive Committees of the International Academy of Television Arts & Sciences, the Los Angeles Paley Center for Media and the National Association of Television Program Executives (NATPE), serving as its Chairman for four years..